The delegation of Turkmenistan headed by the Deputy Minister of Foreign Affairs of Turkmenistan V.Hadjiev took part in the 68th session of the Executive Committee of the Program of the United Nations High Commissioner for Refugees, held in Geneva, Switzerland, on October 2-6, 2017. On October 3, 2017, the head of the Turkmen delegation delivered a speech in which it was pointed out that the world community needed to strengthen its work on resolving the pressing issues of the global agenda related to refugees. In the opinion of the turkmen side, this issue should be viewed both from the humanitarian, and from the political and socio-economic aspects. Taking into account the urgency of the mentioned problems, it was expressed the expediency of resuming work with UNHCR on the implementation of the main directions of the Ashgabat Declaration adopted in May 2012 following the International Conference "Refugees in the Muslim World" held in the Turkmen capital. 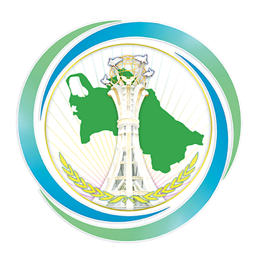 At the same time, it was noted that in connection with the participation of the Olympic refugee team at the Asian Games held in Ashgabat in September 2017, at the 36th session of the UN Human Rights Council, held in Geneva, on the initiative of Turkmenistan and Brazil, and also, with the co-authorship of 30 states, a Joint Statement "On Encouragement the Valuable Contribution of the Olympic Teams of Refugees to Consolidation of Peace and Human Rights" was prepared and adopted. The participation of the Olympic refugee team in the Asian Games is the first measure for the practical implementation of the above statement. In order to further implement the provisions of the Joint Statement, Turkmenistan has developed and started working out the Action Plan jointly with the UN and other authoritative international organizations. It was stated that in this regard, the Turkmenistan proposes in 2018, under the auspices of the UN, to hold an international conference in Turkmenistan on the importance of the participation of refugees in the Olympic movement. Further, the UN High Commissioner for Refugees F.Grandi made a retaliatory statement, which specifically noted the Ashgabat Declaration adopted in May 2012 following the International Conference "Refugees in the Muslim World" held in Turkmenistan. It was stated that, taking into account the current situation in the world, the implementation of this document is of great importance. In addition, within the framework of the participation of the delegation of Turkmenistan at the 68th session of the Executive Committee of the UNHCR Program, a meeting was held with the United Nations High Commissioner for Refugees F.Grandi. During the conversation, issues of further strengthening of cooperation in various areas of bilateral and multilateral relations were discussed. In particular, at the meeting with F.Grandi, the Turkmen side proposed to continue the implementation of the list of activities planned for implementation by the Government of Turkmenistan jointly with UNHCR in 2017, and to develop an Action Plan for 2018-2019. The meeting of the Turkmen delegation with the Deputy Director General of the International Organization for Migration Laura Thompson was also held, during which issues of joint implementation of the "National Action Plan against Trafficking in Human Beings for 2016-2018" previously adopted in Turkmenistan were considered. Meanwhile, at the above-mentioned meetings, special attention was paid to the further implementation of the provisions of the Joint Statement "On Encouragement the Valuable Contribution of the Olympic Teams of Refugees to Consolidation of Peace and Human Rights" adopted on September 15, 2017 at the 36th session of the UN Human Rights Council.